It's almost unbelievable that Michael Owen has appeared for England over eighty times, is the fourth most prolific England goal-scorer ever and still only just thirty. And this despite a series of injuries that have kept him out of the England reckoning for more than a couple of years. He strode on to the world stage with a marauding run straight through the Argentine defence from the halfway line. Owen finished with a thumping shot to give England a 2-1 lead in the 1998 World Cup second round, England eventually lost the match on penalties. 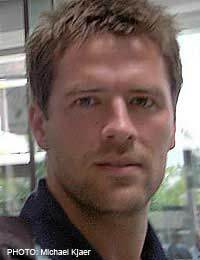 After his first full season for Liverpool, in which he was the Premiership’s joint top scorer, Owen was taken to the World Cup in France, 1998. His England debut had been in a friendly earlier in the year, against Chile at Wembley, where he had broken Duncan Edwards’ record, for youngest England debutant, which had stood for over 40 years. His first England goal came in another friendly against Morocco in May while gaining his fourth cap and although Hoddle took him to the World Cup he didn’t play Owen in the first match, apart from a five minute run-out as a sub. In the second match he came on a little earlier as a 73rd minute substitute for Teddy Sheringham, scored within ten minutes and then hit the post, which could have salvaged a draw. Argentina: Disappointment, But What a Goal! That match was lost 2-1 and that was enough for Hoddle; Owen started the last successful group stage match, a 2-0 win against Columbia which settled the nerves and set up that second round knock-out match with Argentina. He then scored the goal that was voted the second best England goal ever in a 2005 poll conducted by Sky Television. Latching onto a Beckham pass just on the halfway line, he showed strength as well as speed to see off Chamot, skipped past Ayala and blasted the ball back across the face of the keeper into the top left hand corner. At the end of that year, he broke another record when he became the youngest recipient of the BBC Sports Personality of the Year. From that point on Owen was a permanent fixture in the England side; providing the perfect foil to Beckham’s incisive through balls and Emile Heskey’s powerful hold-up play, Owen’s pace, ball control and quick-wittedness saw him score time and time again for England. Unfortunately that blistering acceleration took a toll on Owen’s legs and hamstring injuries began to surface. On his return to playing it always seemed to take Owen another four to six months to reach his best after an injury. This was the case at Euro 2000 in Belgium and the Netherlands, where Owen wasn’t at his best, and the FA’s disposal of Hoddle meant that all the advances he had made were thrown away and the team was now at the mercy of Keegan’s tactical naiveté. Despite beating a poor German side for the first time in a competitive match for a very long time, losses to Portugal and Romania were enough to see England on the way home at the end of the group stage. Keegan made way a few months later after the 0-1 loss to Germany in a World Cup qualifier, the last match to be played at Wembley Stadium. Owen and Beckham began to find more freedom and confidence under the new coach, Sven-goran Eriksson, most emphatically in the 1-5 revenge demolition of Germany, on German soil, in September 2001. Two volleys and a classic strong run and blast gave Owen his first England hat-trick on a memorable night. At the end of the year this, coupled with the Liverpool performances which helped them to win five trophies in one year, saw Owen winning the European Footballer of the Year award, the first English player for over twenty years to do so. After a successful qualifying campaign England were at the World Cup with little pressure, as they hadn’t been expected to qualify. Sven had a young team out there and it was seen more as a step toward taking those youngsters to success at Euro 2004 and the following World Cup. However, although things got a bit hairy, in traditional England form, the team gelled well in the later stages, including a satisfying win against Argentina in the so-called ‘Group of Death’, and getting through to a quarter-final against eventual winners Brazil. Owen opened the scoring, pouncing on a poor first touch by Lucio, who’d tried to cut out Heskey's accurate ball from midfield (or long ball, if you prefer), and chipping the advancing keeper. England couldn't keep up the pressure in the heat and eventually succumbed to a fluky free-kick by Ronaldinho. At Euro 2004 in Portugal, Owen was beginning to receive criticism for not scoring goals, as he was once more on the long road to proper match fitness, and in fact didn’t score until the opening minutes of the quarter-final game against the hosts. It was a typical poachers goal, Owen latching onto a loose back-header and spinning around the ball to flip it over the keeper. Unfortunately, this prompted England to sit back and defend, hoofing the ball away only to see it come straight back again. Inevitably Portugal eventually equalised, on 84 minutes, and, frustratingly, England immediately began to attack, Owen heading against the crossbar in the 90th minute and Sol Campbell netting the rebound, only to have the goal disallowed for an apparent foul by John Terry. The match, and England's chances, ended after a penalty shoot-out. Soon after the tournament, Owen moved to Real Madrid and scored 13 goals in his first season but, with few consistent runs in the side and Real signing two Brazilian forwards, he decided to come back to Britain. Needing first team action to prepare for the 2006 World Cup he joined Newcastle United at the start of the 2005-06 season. Injuries reared their head again when Owen broke a metatarsal in December 2005 and despite not properly returning to first team action with Newcastle before the end of the season, he went to Germany with the World Cup Squad and played in the group stage matches, although he was substituted around the 60 minute mark against Paraguay and again against Trinidad and Tobago. In the third minute of the final group match against Sweden, receiving the ball on the left touchline, Owen crumpled alarmingly to the floor. Replays showed that his right knee had given way and damage to both the anterior and medial cruciate ligaments was later diagnosed. England went out in the quarter-finals, on penalties to Portugal (again). It wasn't until the summer of 2007 that Owen started coming close to play again, after two successful operations on his knee by the renowned American surgeon, Dr Richard Steadman. He returned to the England side to play in a friendly against Brazil in June to open the new Wembley Stadium, and scored in a European Championship qualifier against Estonia five days later, with a clever flick past the keeper from a Beckham cross. It wasn't until the summer of 2007 that Owen started coming close to playing again, after two successful operations on his knee by the renowned American surgeon, Dr Richard Steadman. He returned to the England side to play in a friendly against Brazil in June to open the new Wembley Stadium, and scored in a European Championship qualifier against Estonia five days later, a clever flick past the keeper from a Beckham cross. The goal was his 37th for England and took him past Gary Lineker's previous record for England goals in competitive matches. With Newcastle playing poorly, eventually being relegated, Owen did not feature at all in the Word Cup qualifying campaign under Fabio Capello. A surprise move to Manchester United just before the start of the 2009/2010 season may improve his chances of getting back in the side. If he can stay fit, his chances of breaking more records for England are high. Owen is currently fourth in the list of England goal-scorers behind Bobby Charlton (49), Gary Lineker (48) and Jimmy Greaves (44) and if he can regain his pre-injury form we can look forward to more stunning England goals.